This month the film Suffragette will be released that depicts the struggle for women's right to vote in the UK which officially began in 1903. As the movement for voting equality picked up steam in the form of protests and civil disobedience, there was the inevitable presence of harassment and violence that these women had to endure. When the police rounded up the suffragettes to be thrown into jail, many of them resorted to hunger strikes, were released to recoup, only to be re-arrested for the original "crime" of demanding civil rights. 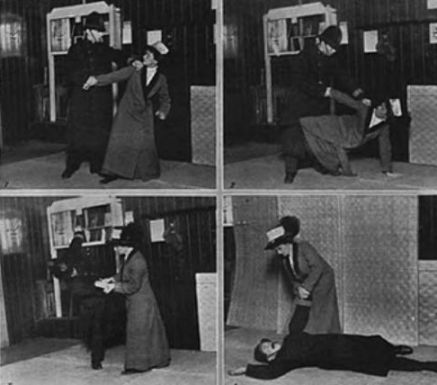 To prevent this game dubbed "Cat and Mouse", one of the movement's leaders — Edith Garrud — taught her followers the art of jiu-jitsu to be used against the police and male vigilantes who stormed their demonstrations and meetings. 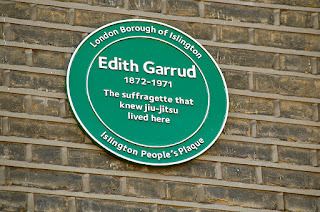 Garrud, who learned self-defense from her boxer husband, was also schooled in Bartitsu from Edward Barton-Wright and later jiu-jitsu from Sadakazu Uyenishi, one of the first jiu-jitsu instructors to teach outside of Japan. In addition to jiu-jitsu, Garrud taught her entourage — who came to be known as The Bodyguard — to conceal Indian clubs (a weapon resembling an oversized bowling pin) under their hoop skirts to use in case their grappling skills failed them during clashes with police or hooligans. Garrud and her movement prevailed, taking a break to help out in the effort to win the Great War, and getting a portion of voting rights for women (over 30) in 1918. By 1928, full rights to the vote (over 21) were finally implemented. 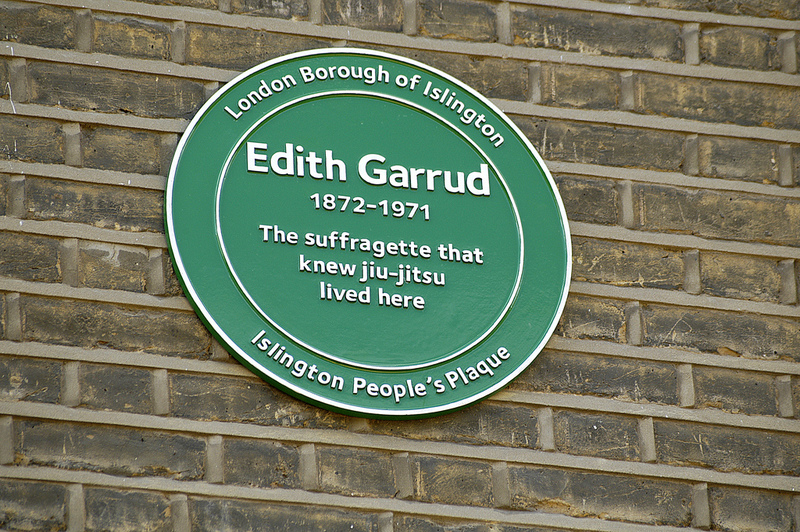 Later in life Garrud would continue to teach jiu-jitsu and became a stage and film martial arts coordinator. Not a bad life for the 4-foot-11 suffragette who refused to quit. She died in 1971 at the age of 99.